Chair – Sit With Me Campaign. Sometimes you have to sit to take a stand. 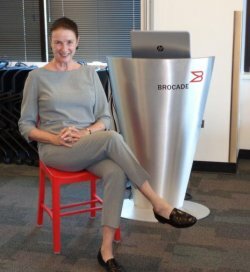 Sit With Me invites you to validate and recognize the important role women play in creating future technology by taking a small but symbolic action: sit in a red chair and share your story. Pull up a chair and listen to stories from others; men, women, technical and non-technical, as they sit in the red chair.